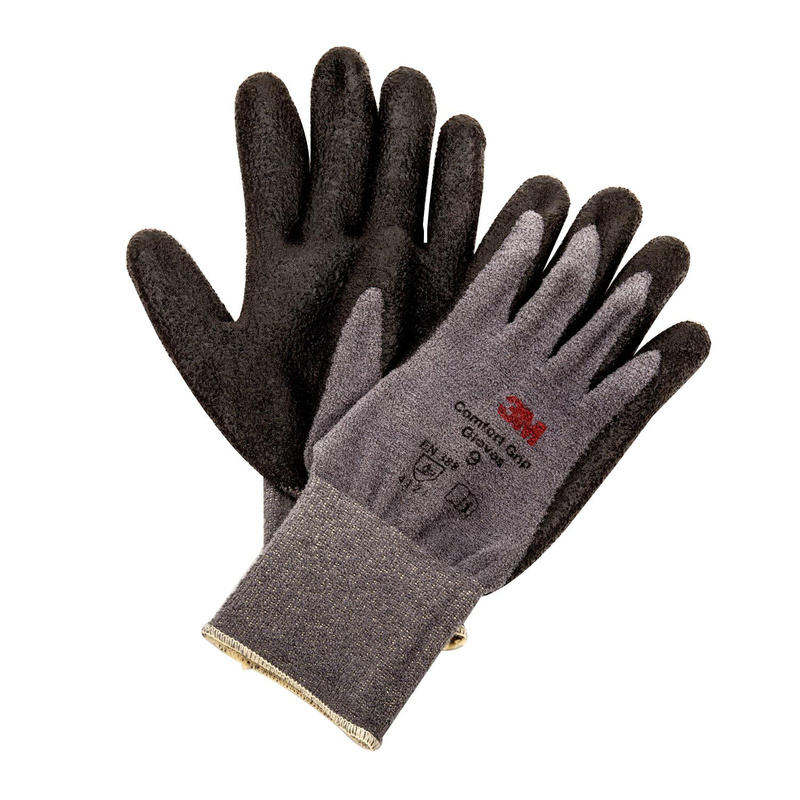 3M X-Large size comfort grip winter gloves in gray color, provide extra warmth for cold weather applications. They are perfect to use in general material handling, handling small parts, electrical component assembly, carpentry, plumbing, roofing and irrigation. These washable grip gloves have a polyester and spandex construction for long lasting protection. Nitrile foam coating on these gloves provides better grip, even in wet or oily conditions. They withstand blade cut, abrasion, tear and puncture. They feature elastic knit wrist cuff that is easy to pull on and off quickly and keeps out debris. Grip gloves meet EN388 standards.